It also has a few nice extra options. 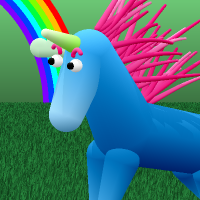 from the Downloads page (it's a single executable file, called go-unicornify on Linux and go-unicornify.exe on Windows), or you can compile the program yourself (it is written in Go, a.k.a. golang). Please refer to the LICENSE.txt file for redistribution information. 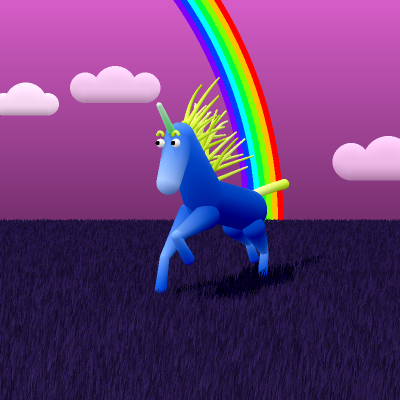 Unicorns are always generated based on a single (hexadecimal) number. Usually, this number is generated from an email address (by taking the MD5 hash, just like Gravatar). For example, the number corresponding to the address mail@example.com is 7daf6c79d4802916d83f6266e24850af. You have three options how to tell the program which Unicorn to render: With the -m, -h, and -r options. With -m you pass the email address you want to generate the avatar for, and the program will generate the hash number. With -h, you pass the number directly. Although both -m and -r always generate 32-digit numbers, this is not a requirement. You can pass hex numbers of any length to -h.
Finally with -r, you tell program to generate a random number, and thus a random unicorn. You must specify one (exactly one) of the above three. All the other following settings are optional. will generate a 1024x1024 pixel image. 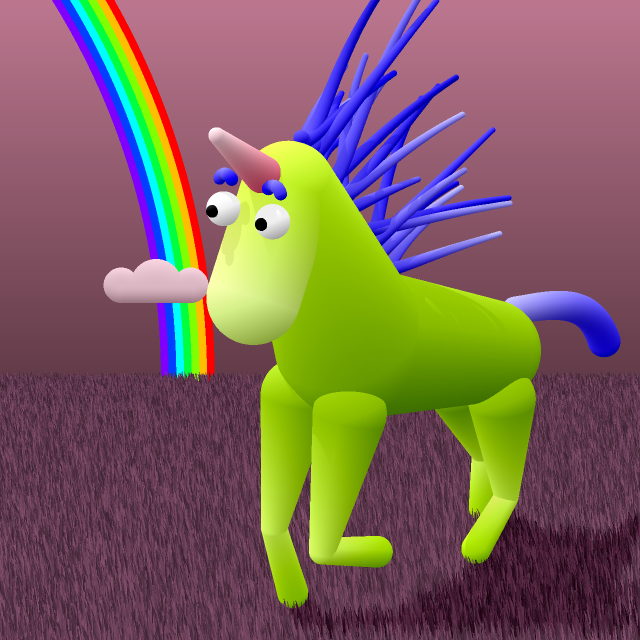 Unicorns want to be free! 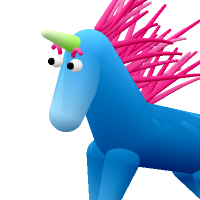 To render generate the unicorn without the background, e.g. for inserting it into another images, use the -f switch. 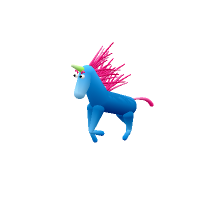 On some avatars, the unicorn is fully visible, on others, only the head may be shown. 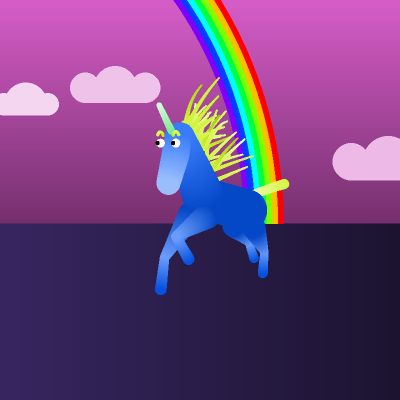 If your unicorn is not fully visible, but you need it in full (to print it on a T-Shirt maybe? ), you can use the -z switch. You'll usually want to combine this with -f.
The drawing algorithm produces very aliased images. In order to create smoother lines, the program behind the scenes creates an image that's twice as wide and twice as high as the requested size, and then uses bilinear interpolation to downscale the image. If, for whatever reason, you want to disable this anti-aliasing, you can use the -noaa switch. 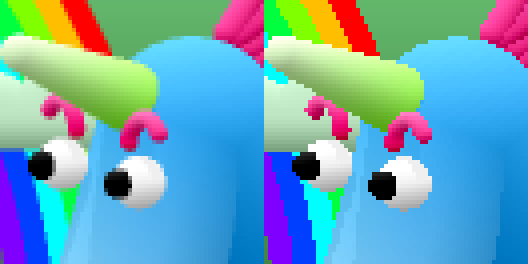 The left image was generated normally, the right image with disabled anti-aliasing. The drawing operation is parallelized by default to make use of multiple processor cores. You can disable this with the -serial switch.